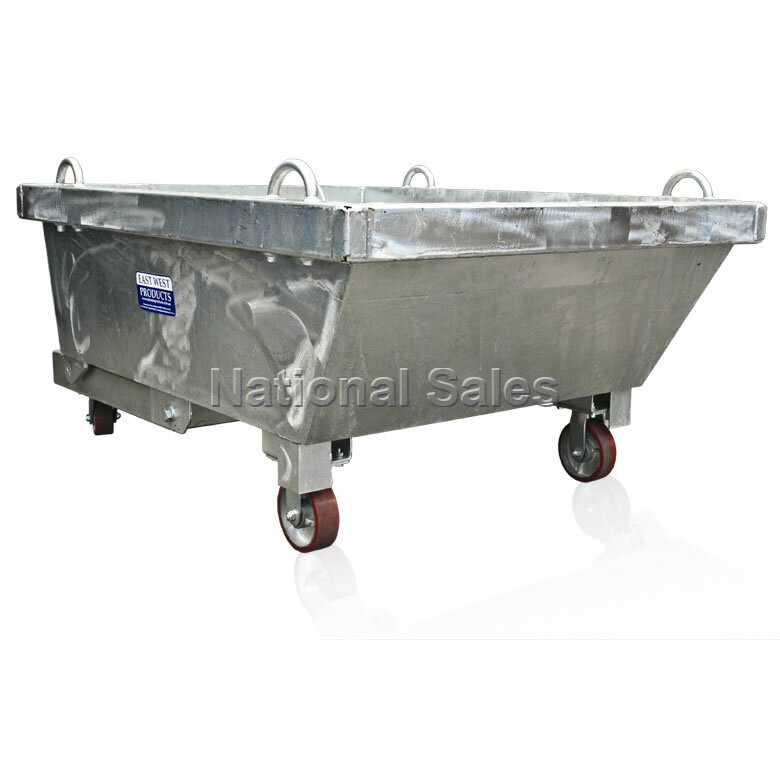 This lever release tipping bin have been designed to provide an economical solution to collecting and disposing of industrial waste and other uses. 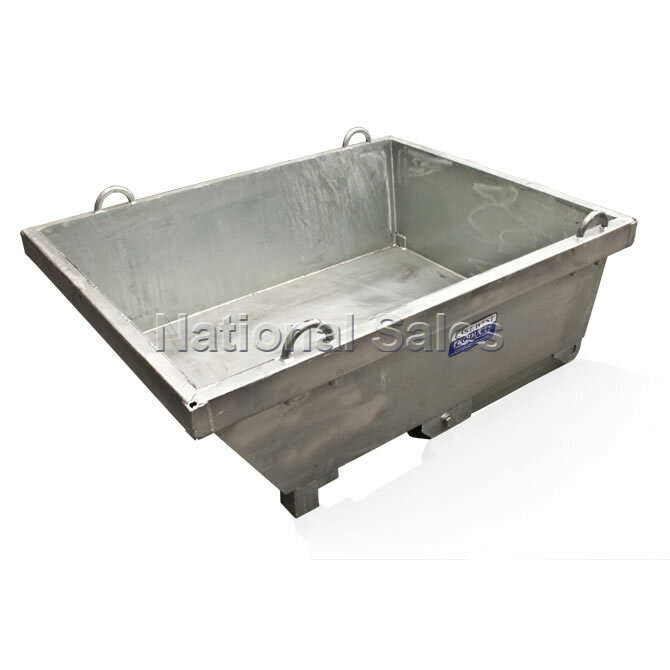 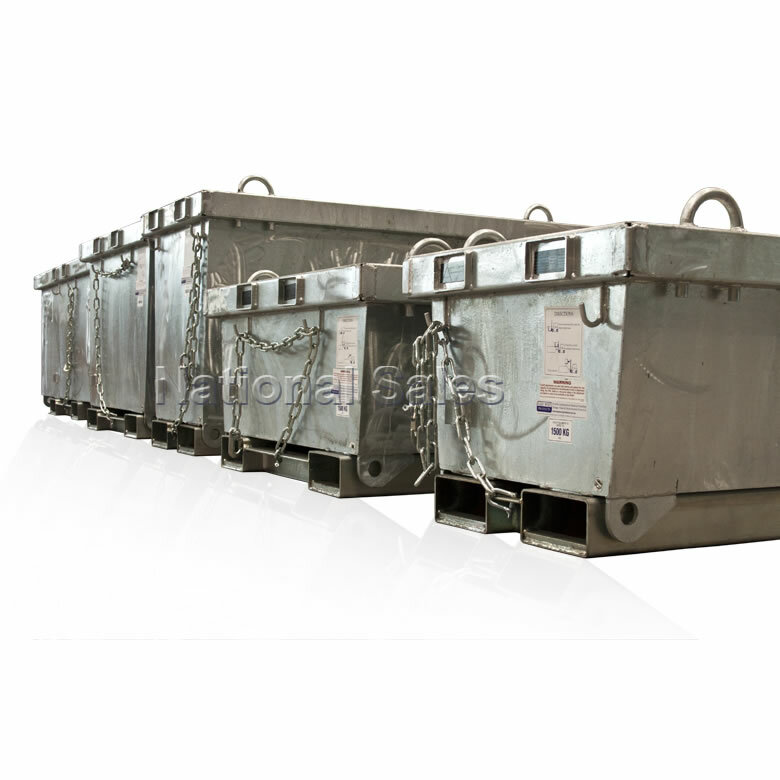 The bins feature a low profile allowing versatility in confined spaces. 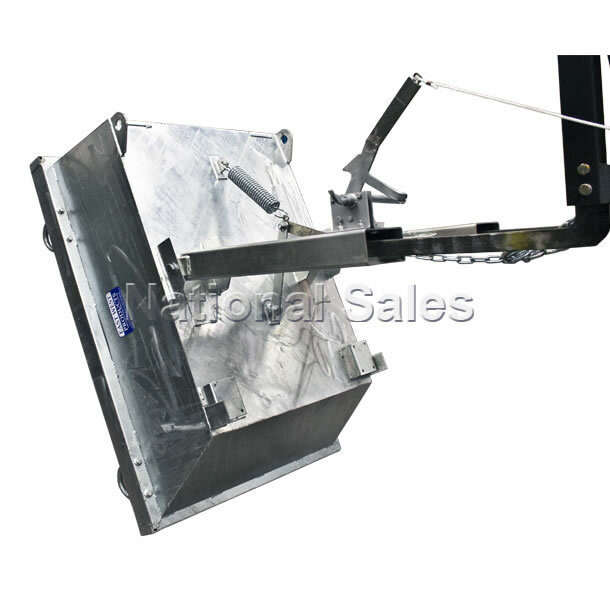 This lever release tipping bin have been designed to provide an economical solution to collecting and disposing of industrial waste and other uses. 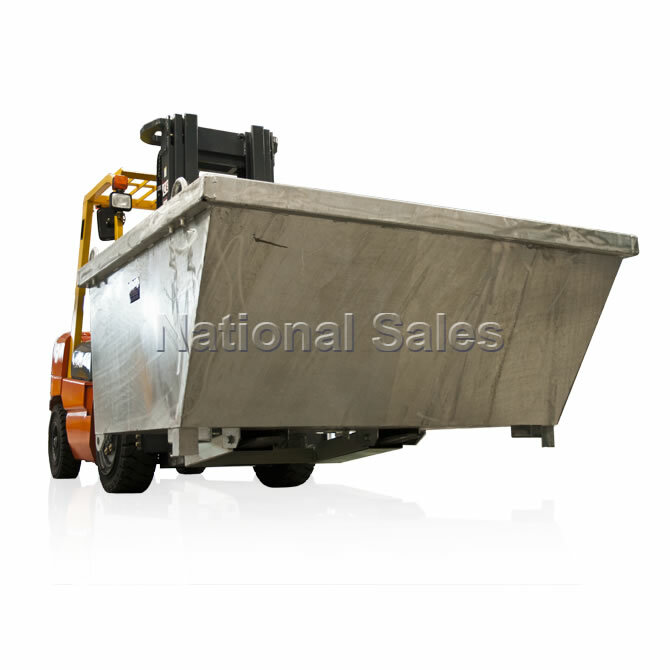 The bins feature a low profile allowing versatility in confined spaces. 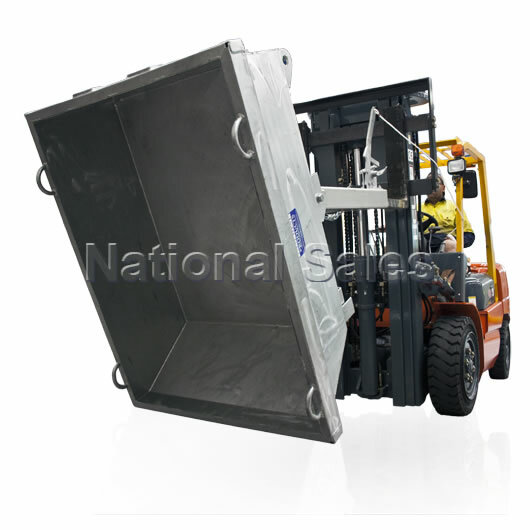 The release mechanism is activated by the forklift operator pulling the pull cord from the driver's seat. A custom built shock absorber prevents impact forces being transmitted to the forklift during tipping. 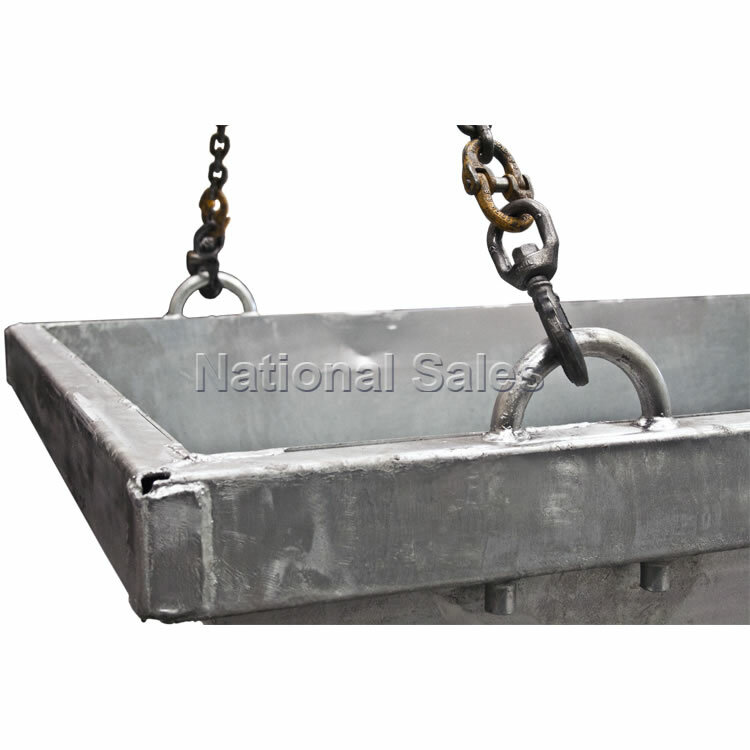 Bins are manufactured from 3mm plate and feature re-enforced edging and crane lugs.